Hunter College's 68th Street Campus is located in the heart of Manhattan's Upper East Side. The crosstown M66 bus goes east on 68th Street, and west on 67th Street. Hunter College is located at the intersection of East 68th Street and Lexington Avenue. The M98, M101, M102, and M103 busses go south on Lexington Avenue and north on 3rd Avenue. 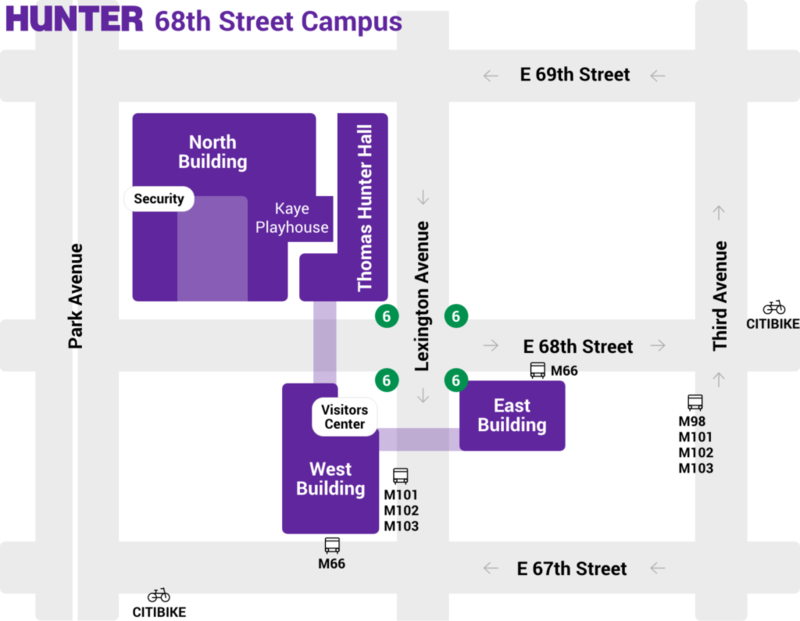 Hunter College is located at the intersection of East 68th Street and Lexington Avenue.